Changing your internal processes for booking customers can be scary. You need to invest money, time and train your staff. Taking on any kind of new software to help you do your job more efficiently is a decision that shouldn’t be taken lightly. There are a number of good and an equal number of bad online booking systems out there. 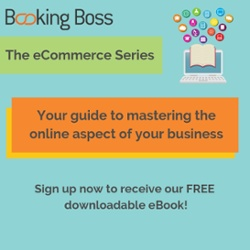 Before you onboard anything, it’s important to consider these five key functionalities when picking an online booking software for your tour, activity or attraction business. PCI (Payment Card Industry) compliance is important when searching for a new online booking system. PCI is a security standard for organisations that take payments from popular credit card providers. PCI compliance makes sure that any transaction that takes place on your website is safe. It should be your first consideration when looking into a new booking system because it will make customers feel safe to give their credit card details when using the online channel. Your new online booking system has to be easy to use. Too much complexity will only add to your struggle. The new system should be simple and straightforward; implementation should include a demonstration, explanations and training following your sign-up. While researching systems, it is important to look for one that will support your shift to online bookings. Make sure to research pricing options when searching for your new online booking system! Pricing strategies vary across platforms, and the way you are charged will depend either on the features of the system or your number of bookings per period. Your selection of a system will then depend on the size of your business, or what you require of a booking system. Having a clear idea of what you can afford alongside what you need, will be helpful when considering this. You’d want your new online booking system to be all-inclusive when it comes to features, so that you don’t have to pay extra for added functionality, such as integration into your accounting software. As you expand, your selected booking system should have the capability to scale with you. This will help you avoid paying extra in the future. Access to distribution channels should be a major consideration when looking into online booking systems. Distribution channels build your exposure and will show your offering to a wider net of potential customers. This works best if the system you choose is connected to a wide range of distribution channels and are constantly adding more. Your online booking system can also show your prices and real-time availability to customers via your checkout or your distribution partners. This allows for bookings to be made far in advance or at the very last minute before departure. Distribution channels are convenient, save you from follow-up and commission payments are only made if you receive a booking. They also allow you to easily reach a greater number of potential customers. A fantastic online booking system should be linked with distribution channels such as your website, online travel agencies, wholesalers, visitor information centres and review websites, to name a few. Download our quick-start guide to distribution in tourism to get the best understanding. PCI compliance, simple use, pricing options, all-inclusivity and access to distribution channels are the top five things to consider when investing in a new online booking system. We hope this blog helps you in making your choice! Booking Boss is a fantastic online booking system but don’t just our word for it, believe the hundreds of tour operators we work with every day. Want to find out what all the fuss is about? Sign up for a free 14-day free trial and get a free payment gateway to have you transacting online in under 3 minutes! Booking Boss is an online booking system for tour operators and attraction providers. Trusted by many in the tourism industry, Booking Boss is about getting you out of the spreadsheets and into the sun. We provide free education resources for operators like you, to make your business the best it can possibly be.